Like many others, I am trying hard not to blog nasty things about the Olympics. One or two have given way: William Oddie let rip last week (Winning the Olympic Games was a great national disaster). Fr Alexander Lucie-Smith says that he is an Olympicphobe but will not be protesting against the Games though he does link to Andrew Rawnsley's considered dissection of the whole thing: This five-ring circus is only for those in love with white elephants. Along with everyone else, I am rather miffed by the impact on London especially (though I hear that there are draconian restrictions on some people elsewhere) and Boris's voice shouting at us over the loudspeakers on the tube ordering us to "geddahed of the gaaaames" does not really help. On the evening of Wednesday 25th July, as the first Olympic football matches take place across Britain, a Missa Cantata (Sung Mass) in the Extraordinary Form will be offered in Bow for Olympic Peace. The parish Church of Our Lady and St Catherine of Siena in Bow is at the epicentre of the whole shebang so kudos to Fr Michael Dunne for arranging this and for keeping his Church open until midnight each day so that people can visit. And yes, I do hope that the Olympics foster peace between nations, that the athletes stick firm to the principle that taking part is more important than winning, and that everyone has a lovely time. 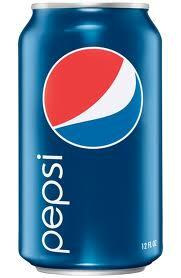 Just remember: "Every Pepsi Refreshes The World"